What more can be said about Leonardo da Vinci? One of history’s most celebrated minds, Leonardo shone a light on humanity’s potential for genius. Five centuries after his death his abilities remain as remarkable to comprehend now just as they were in his lifetime. A consummate sketch artist, a painter, a scientist, a musician, a visionary – he remains unchallenged as perhaps the greatest inventor and artist the world has seen. Five hundred or so years may have passed, yet he is still viewed with awe. 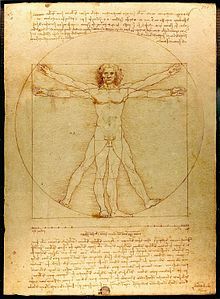 Many biographers describe Leonardo as having qualities that “transcended nature,” a man who displayed an “infinite grace in everything he did,” (Renaissance biographer Giorgio Vasari) and who was “so far ahead of his own century and the following centuries” (Hippolyte Taine). 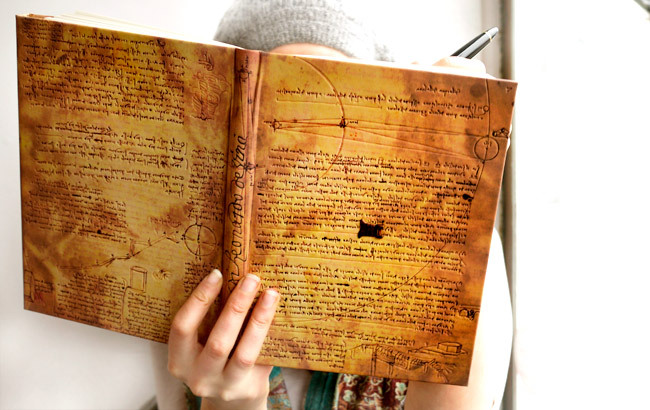 To this day, people still study and translate Da Vinci’s writings, analyze his paintings and search for works which have been recorded but never found. We share this fascination with Leonardo and have released three separate collections over the past 12 years featuring his work. We first released a collection in 1997 simply titled the Leonardo da Vinci collection. It featuring some of Da Vinci’s most romantic works – Virgin of the Rocks, Head of a Young Woman, Head of a Woman and one of his numerous self-portraits. 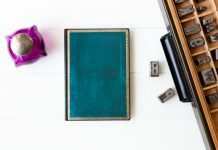 Da Vinci’s images of women were famous for their subtlety of tone and shape, and we wanted to recreate the ephemeral qualities of his paintings on our covers. 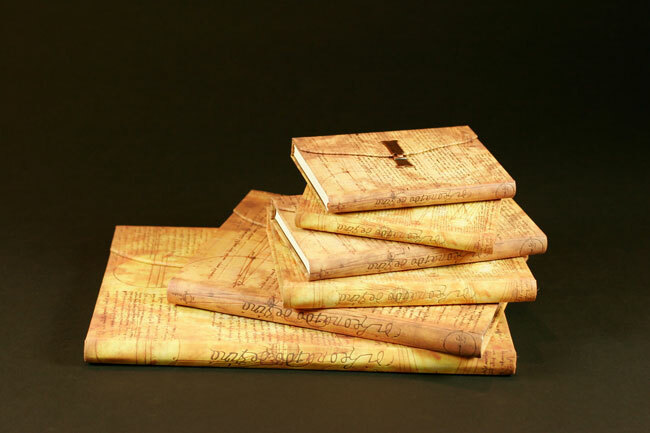 The series had laminated paper covers over boards and cloth spines. 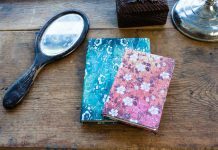 This first collection came out at a time when we were still discovering our own capabilities with printing press technology. 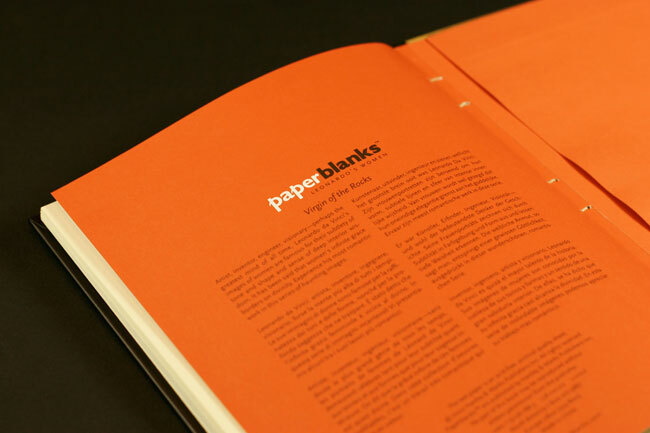 In 2001 we released an alternative take on the previous collection. The collection was retitled Leonardo’s Women and it was made up of some of the same portraits – Virgin on the Rocks, Venice, Florence, and Bayonne. 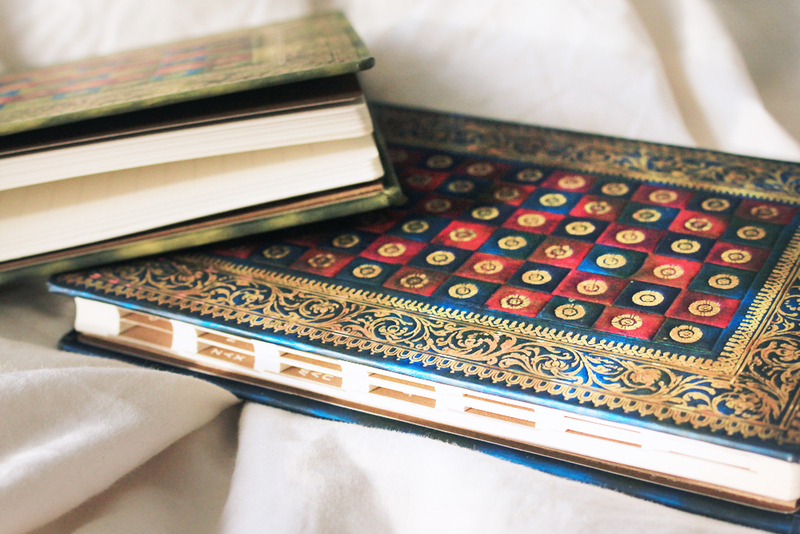 One major difference is that these books had traditional coptic (hand) stitched binding in place of the previous collection’s cloth spines. 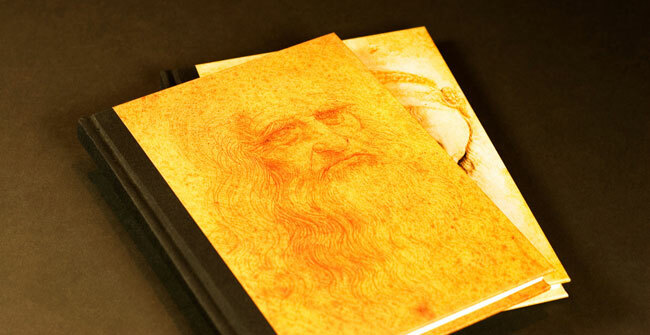 Recorded in 13,000 pages of notes and drawings which fuse art, natural philosophy and science – among many other subjects – Leonardo took notes daily on his life and travels, detailing with immense accuracy his continual observations of the world around him. His notes and drawings display an insatiable range of interests and preoccupations, from designs for wings and shoes for walking on water, studies of architectural details and drapery, studies of faces and emotions, of anatomy, of animals, plant studies, rock formations, helicopters and machines. 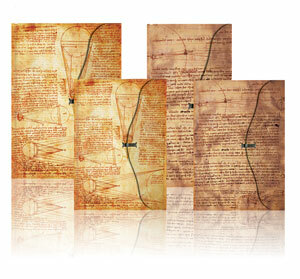 We always wanted to work with Leonardo’s notes – for they are just as impressive and innovative as his artistic work. Able to obtain imagery from The Codex Leicester, one of Da Vinci’s most famous scientific journals (the original of which was bought by Bill Gates in 1994 for US$30.8 million), we began the long process of transferring into a cover design a section from this famous treatise. We labored over the details of this design, wanting to bring the richness of this great artist’s work into a different medium. 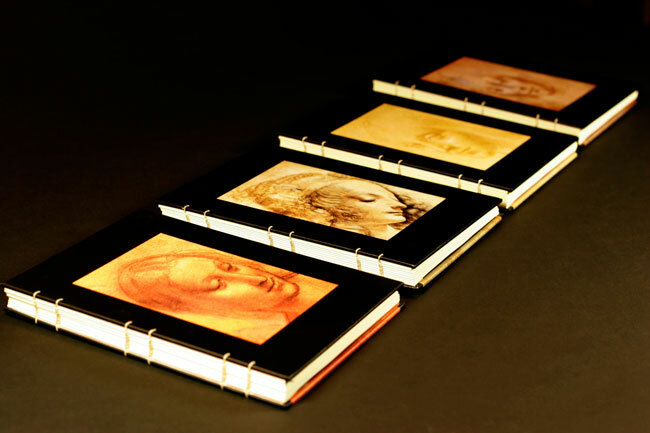 The result, our Leonardo’s Sketches collection, is a finely wrought facsimile of the original. Our reproduction puts texture on his sketches and hand-writing – enough so that anybody may run their hand over it and feel an approximate likeness to the original. Look closely and you can see his enigmatic mirror-cursive script in detail – you can even touch it and feel for yourself the individual uniqueness it contains. We worked to bring this uniqueness to your attention. The collection is made up of two designs. One – Sun & Moonlight – features Leonardo’s scientific observations and theories on the light of the moon relative to the radiance of the sun, while the other – Water Motion – features scientific observations and theories on the motion of water. 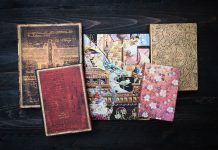 Next articleNew From Paperblanks® For Fall 2011: New Collections, New Embellished Manuscripts, and More!